Kingsley Adult Day Care builds upon a legacy of care in New Orleans that dates back 125 years. Kingsley will provide your senior with a hospitable and comfortable environment while you take care of other responsibilities. From nutritious meals and snacks to stimulating activities, participants can spend up to 8 enjoyable hours with us each week day. 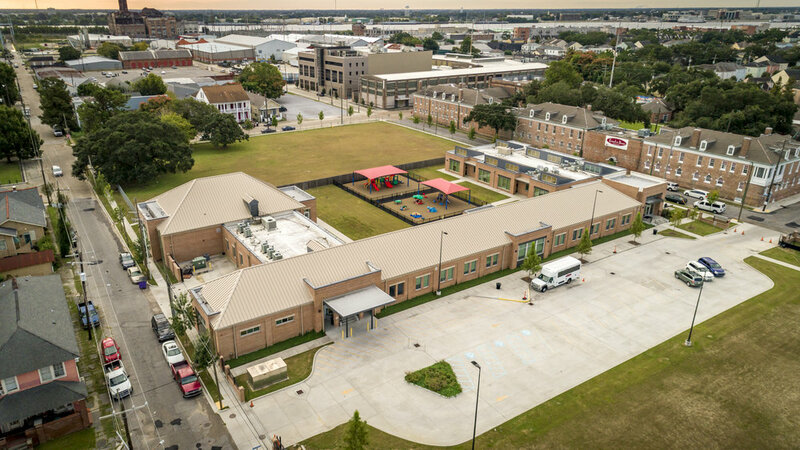 Kingsley’s Adult Day Care, with its experienced medical staff, is the largest in New Orleans and licensed by the Louisiana Department of Health. If needed, participants can receive nursing services, health monitoring, social services, case management and personalized nutritional consultations in a setting that is supportive and inviting. We will make Kingsley your loved one’s home away from home in everything we do. Kingsley House was founded in 1896 by the Reverend Beverley Warner of Trinity Episcopal Church. He established Kingsley House to help immigrants overcome language, cultural, social, and family displacement barriers as they settled in New Orleans. The Adult Day Care program was started in 1973 and is housed on the beautiful new 24,000 sq. ft. Patrick F. Taylor Campus. Dedicated in 2016, the sparkling new building houses programs for senior and medically fragile adults.